100% Free Range Feral Hogs. 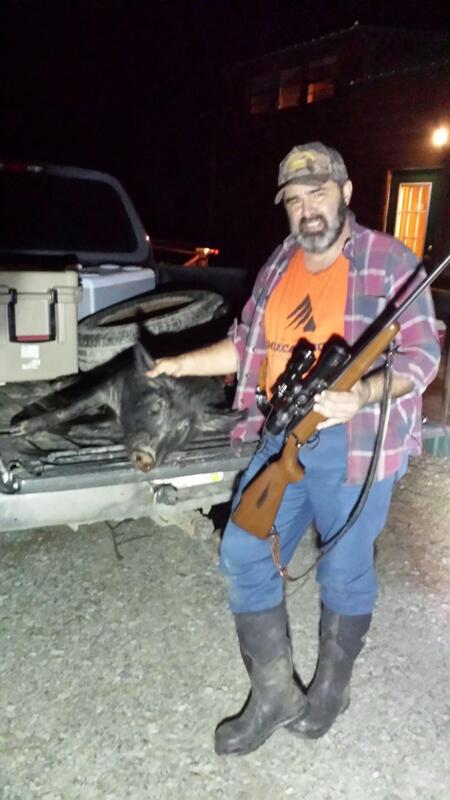 The Kiamichi River area is where we conduct our Oklahoma Hog and Varmint hunts. This area has a Feral Hog problem. 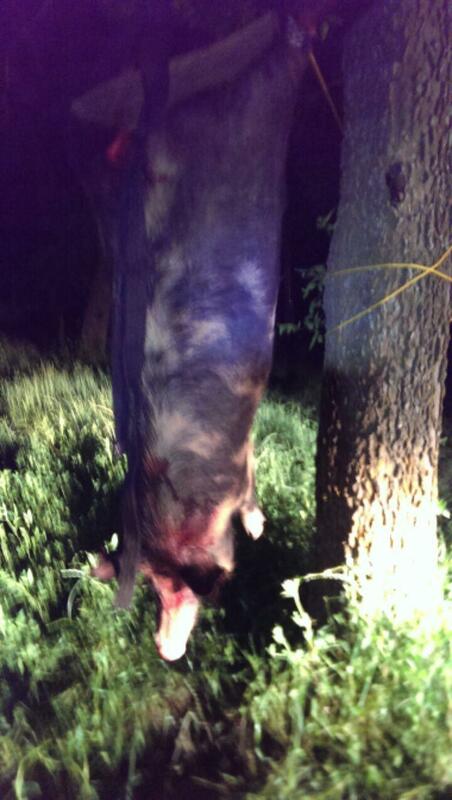 We offer feral hogs after Oklahoma deer season has ended all the way through September. 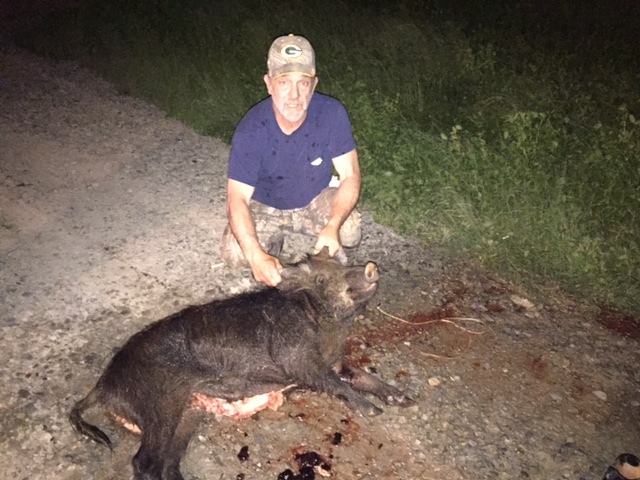 There is no limit on Feral Hogs on this hunt! Likewise, you can harvest all of the Coyotes you want as well. Finally fishing the Kiamichi river is included in this hunt. When you book this hunt you will have the cabin and property to yourself, no 3rd parties. The property has Bobcat, Coyote, Raccoon, Fox and Beaver in addition to Feral Hogs. 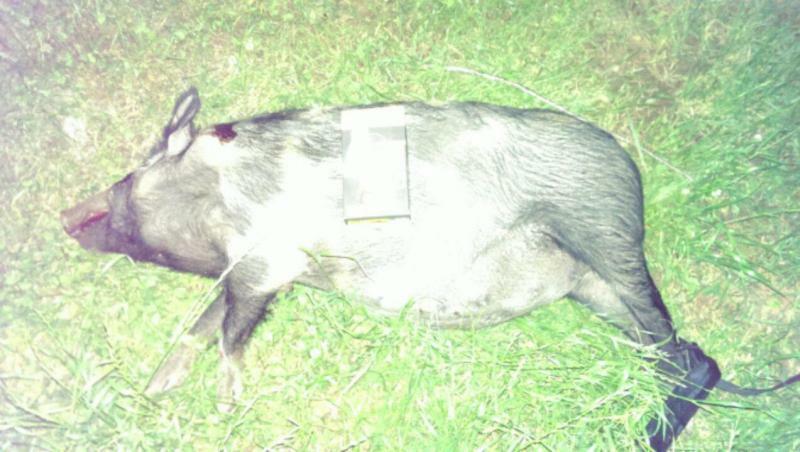 We conduct our Hog Hunts from late January - mid September. AR-15-style black rifles available to rent (deposit required). 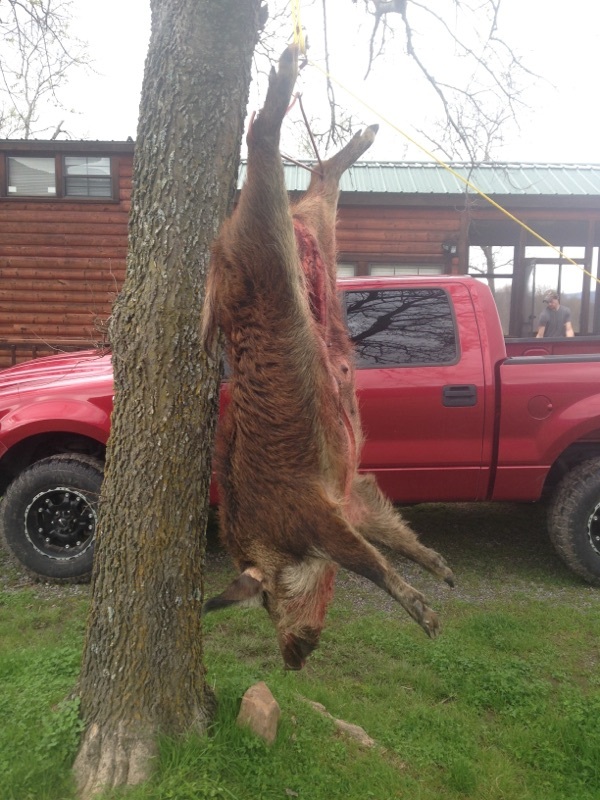 Hog hunts include lodging in our wonderful cabin. 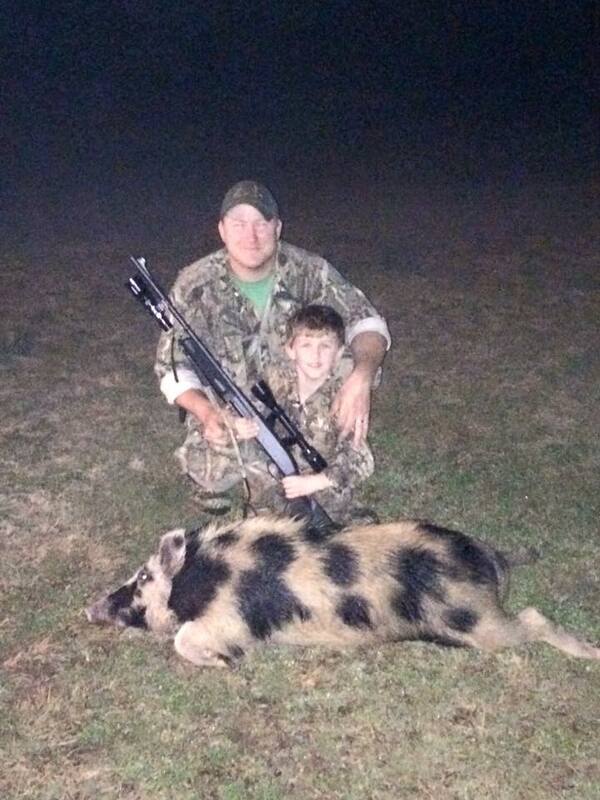 Contact Us to book a Feral Hog hunt.